The 1.2-5x36 Conquest Duralyt Riflescope (Dark Gray) from Zeiss puts enhanced clarity, long-range capability, and startling low-light performance at the top of the list. Starting at 1.2x the Field of View is a startling 984 feet, dialing up to 5x brings distant or smaller targets in close for exacting shot placement. The comfortable 36mm objective offers the clearest and brightest view possible. 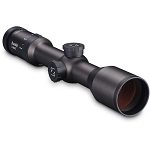 Duralyt scopes offer a distinctly superior target acquisition view. Newly designed optics feature modern multi-layer coatings and provide high light transmission for outstanding image quality and brightness. The construction and functionality of this fine sighting system is up to the high standards that people have come to expect from Zeiss - just remarkable. The robust and waterproof 30 mm main-tube is filled with dry nitrogen to ensure all-weather performance. The low-key dark gray finish is refined yet muted. It is parallax free from 109.4 yards or 100 meters to infinity. The target-type turrets are lockable, and they offer ? MOA adjustments with a squared adjustment range of 110.2 inches at 100 yards. The Reticle 60 Illuminated is placed in the second focal plane. 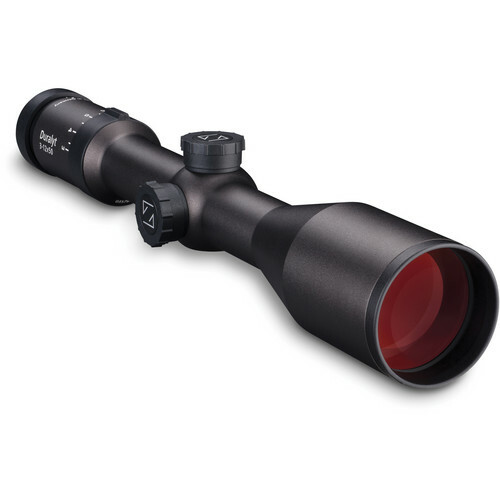 This riflescope is a lightweight choice for optimum use during day hunting.